Chenopodium album amaranthicolor H.J.Coste & A.Reyn. 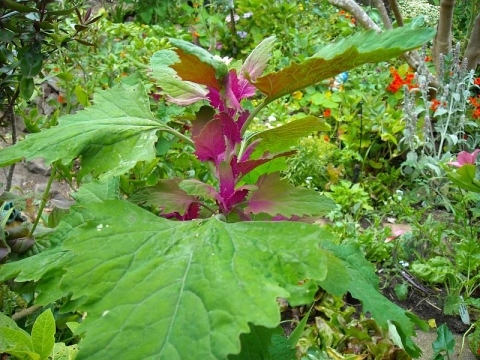 Chenopodium amaranticolor (H.J.Coste & A.Reyn.) H.J.Coste & A.Reyn. Chenopodium rubricaule Schrad. ex Moq. The plant is harvested from the wild, and also sometimes cultivated for its edible leaves and seeds, which are used locally. Widely cultivated, the original range is obscure, possible northern India. ], it should be soaked in water overnight and thoroughly rinsed before it is used in order to remove any saponins.